With seven notes you can create countless melodies and with two tables you can create multiple compositions. 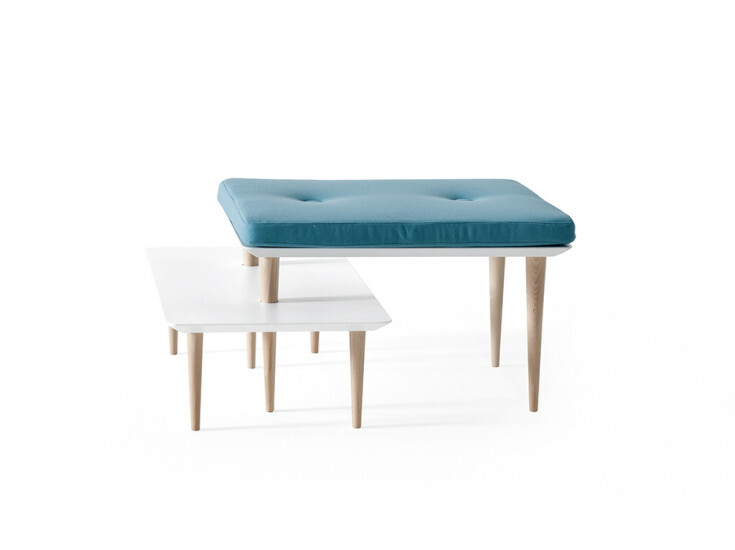 It is a small addition that, thanks to two holes on top and two different heights, becomes a compositional unit that can be configured in endless ways. 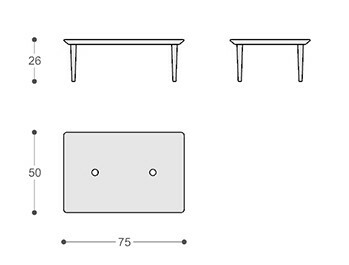 Each table is functionally independent and can be used individually. 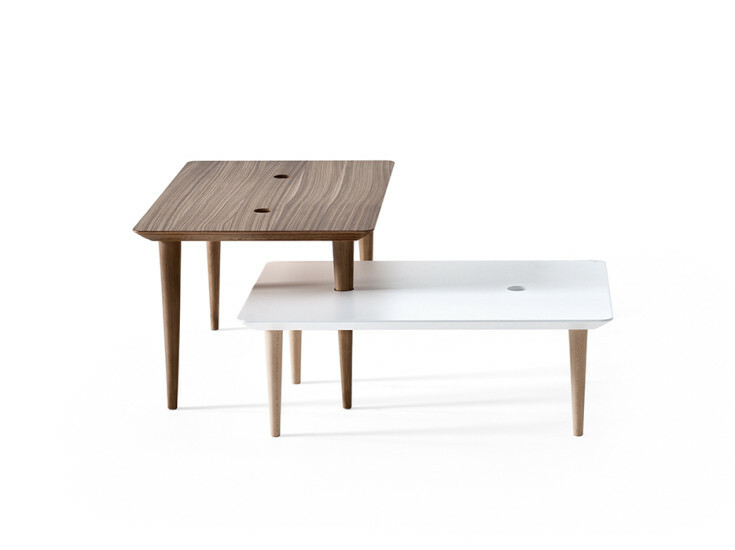 Two tables can create a symphony of shapes allowing more complex compositions and new uses. 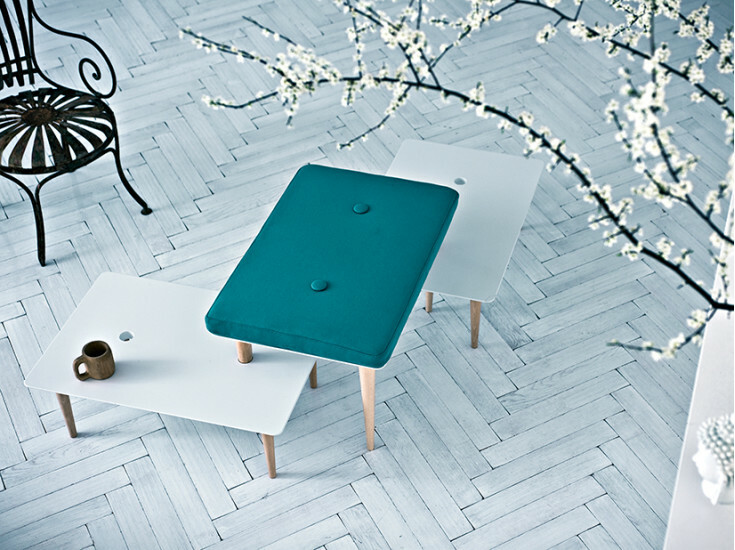 Featuring the possibility of placing a specifically designed cushion on the table top, this new table provides a creative way of decorating the living area as well as contract areas. A Song for You discreetly blends in with the environment and the addition of colourful cushions enhances its personality and visual appeal. 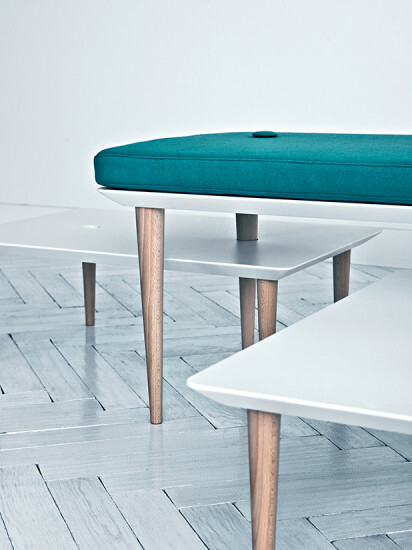 Legs in solid beech wood with truncated cone shape and non-sliding plug. Foot has larger diameter of 40 mm and the smaller 18 mm. 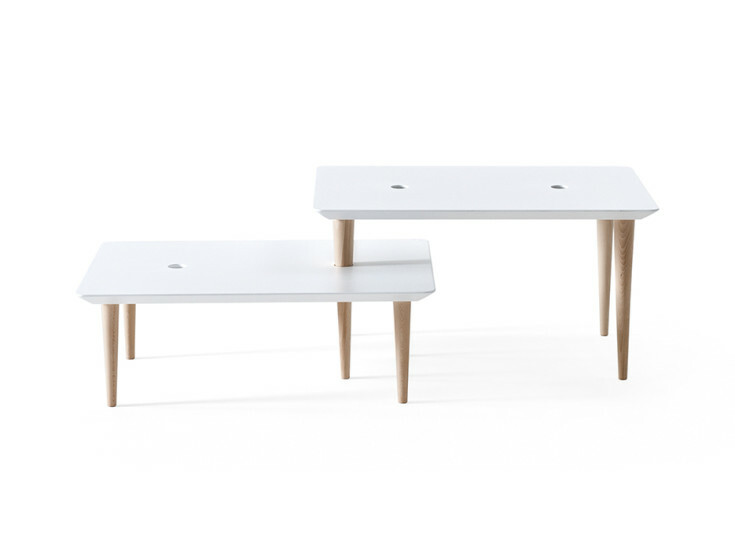 30 mm thick, available in white lacquered MDF or zebrano plywood natural veneer and provided with two holes diameter 40 mm.